Hello Kitty jumps into her mecha to face the mighty Gundam in an epic crossover to celebrate their incredible milestones. In commemoration of Hello Kitty’s 45th Anniversary and Gundam’s 40th Anniversary, the two Japanese icons are brought together in a special event that pits them together. A special website has been created to showcase the crossover event. 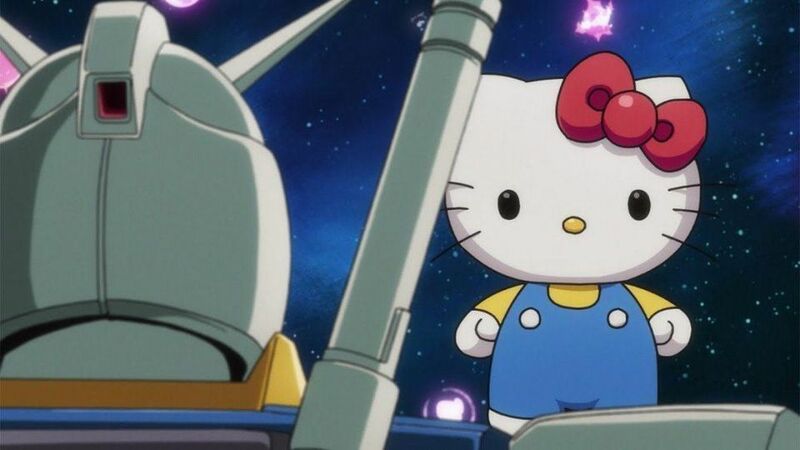 See Hello Kitty and Gundam RX-78-2 come together in this exclusive trailer. The official website lets visitors climb inside one of the characters’ mechas giving the website either a sci-fi or cutesy feel. Fans can also use the LINE app and follow the “Gundam/Kitty” LINE official account and select which to support. Particpants have a chance to win limited edition goods.